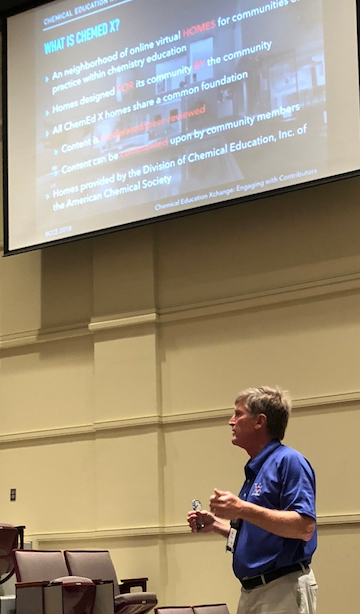 The inaugural ChemEd X symposium was held during BCCE 2018 at Notre Dame. Our Editor-in-Chief, Jon Holmes, three of our Lead Contributors, and our two Associate Editors gave oral presentations. You can find materials submitted by some of the presenters below in the supporting information. Figure 1 - Jon Holmes, ChemEd X editor in chief, speaks about the ChemEd X website. 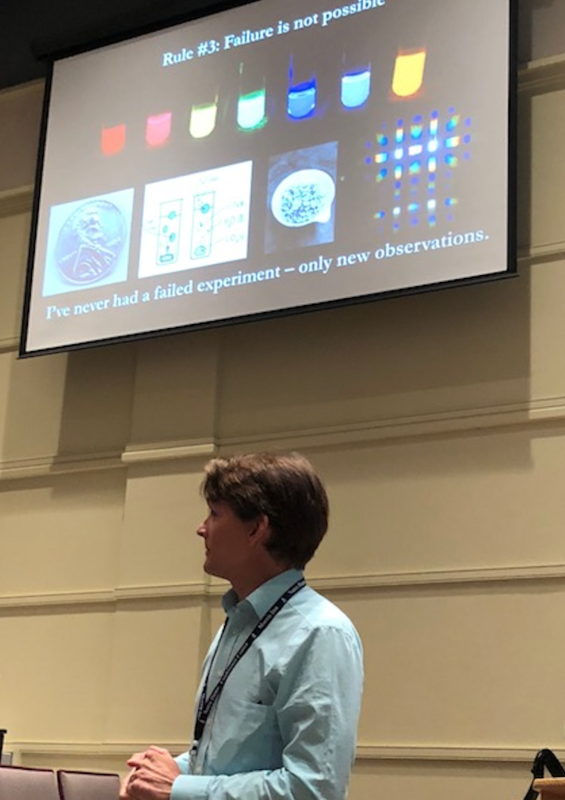 Kaleb Underwood presented History, Philosophy, and Radio Programs: Activities to Help Students Understand the Real Nature of Science. You can find two documents he spoke about in the supporting information: Assignment: Feynman, Lavoisier Readings and The Pale Blue Dot. You may want to take a look at a couple of his related blog posts: Bringing a Radio Program in to Chemistry Class and A Class Discussion on the Nature of Science for additional information. Follow Kaleb on Twitter @kaleb_underwood. Erica Posthuma-Adams spoke about Building a Culture of Learning. Check out her post about the Build a Boat activity that she uses to help build a good classroom culture. Reach out to Erica by email: erica.a.posthuma@gmail.com or Twitter @eposthuma. Figure 2 - Lauren Stewart speaking at the ChemEd X Symposium. 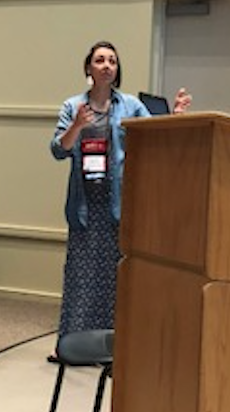 Lauren Stewart spoke about standards-based grading. Check out some of her ChemEd X posts related to SBG: Standards-Based Grading in the Chemistry Classroom and Electronic Portfolios and Final Exams are just a couple of them. (You can find her presentation in the supporting information below.) Follow Lauren on Twitter @StewartSci. Ryan Johnson's presentation was titled Using gas phenomenon to drive inquiry in the introductory chemistry classroom. You can follow Ryan on Twitter @RyTriGuy. Tom Kuntzleman co-authored a presentaion with B.W. Baldwin titled Small research projects in the chemistry classroom (you will find his presentation in the supporting information below). Follow Tom on Twitter @pchemstud. Figure 3 - Tom Kuntzleman presents about small research projects.